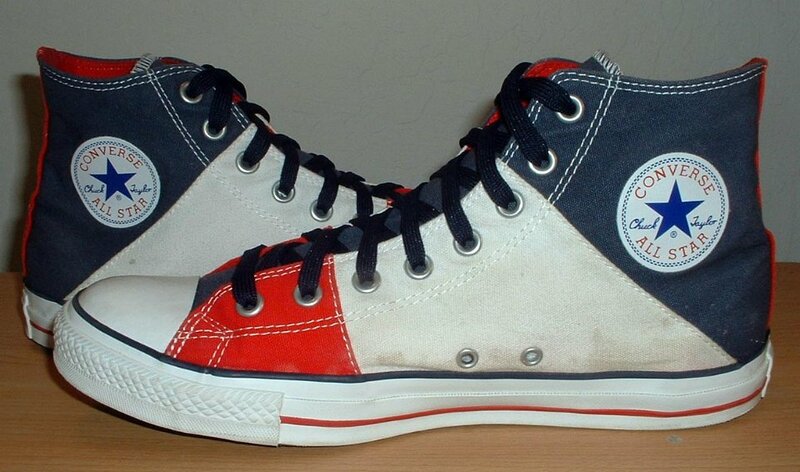 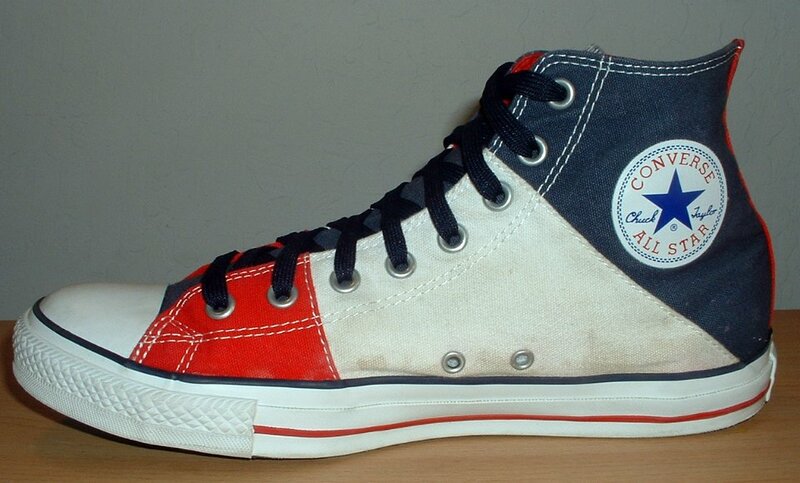 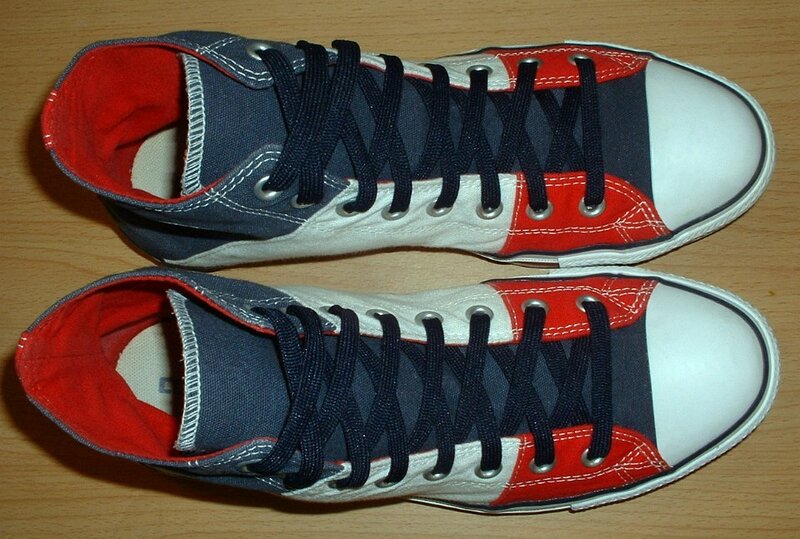 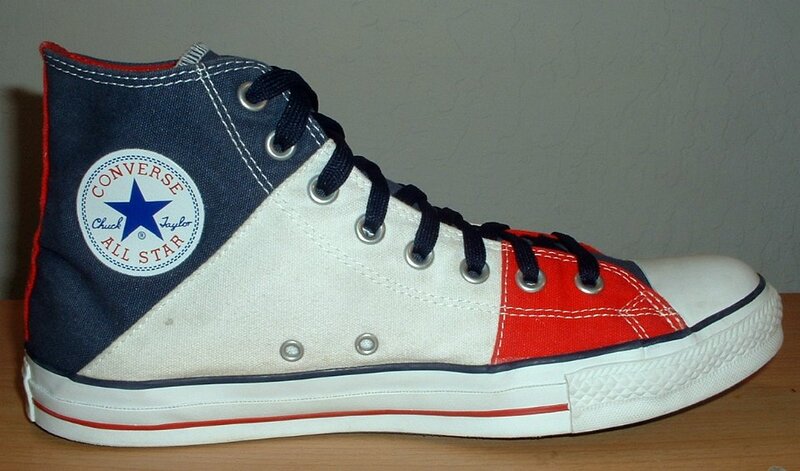 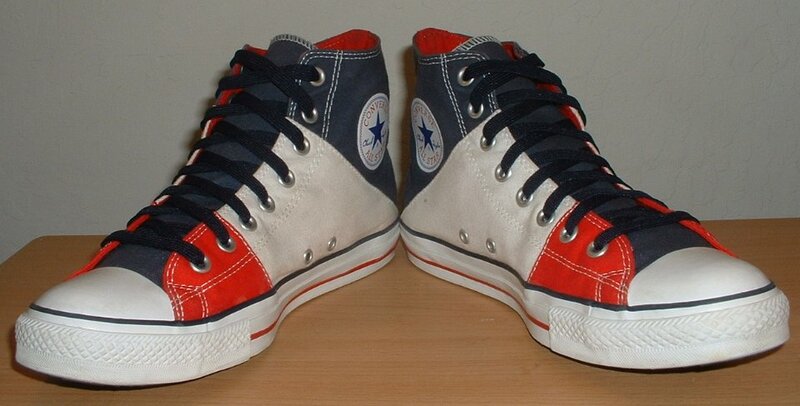 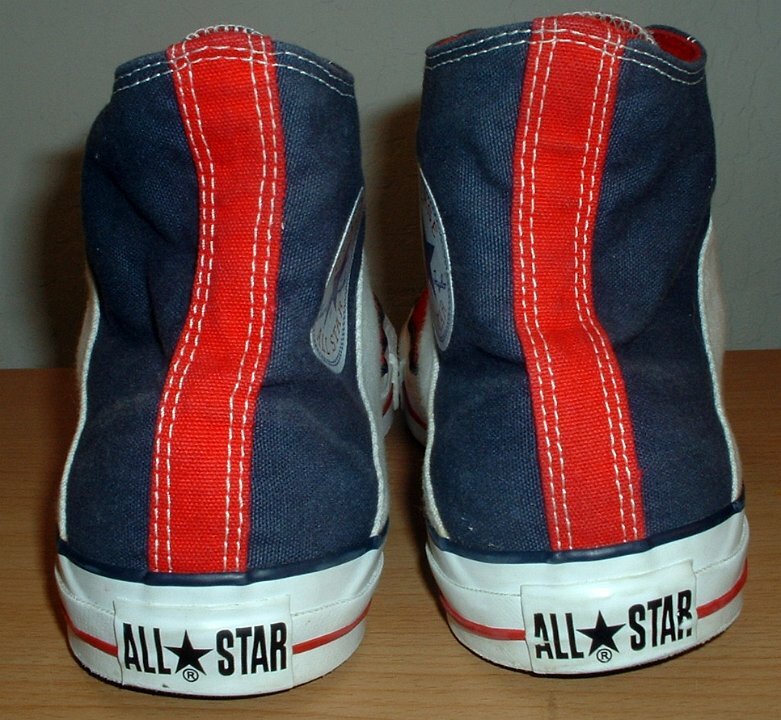 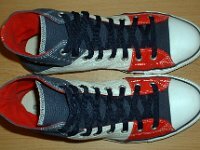 Photo gallery of a single pair red white and blue paneled upper high top chucks. 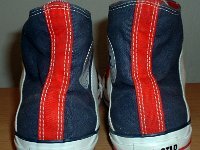 8 Red White and Blue Tricolor High Tops Inside patch views. 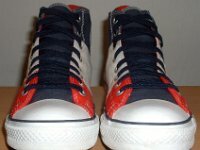 9 Red White and Blue TriColor High Tops Angled front view. 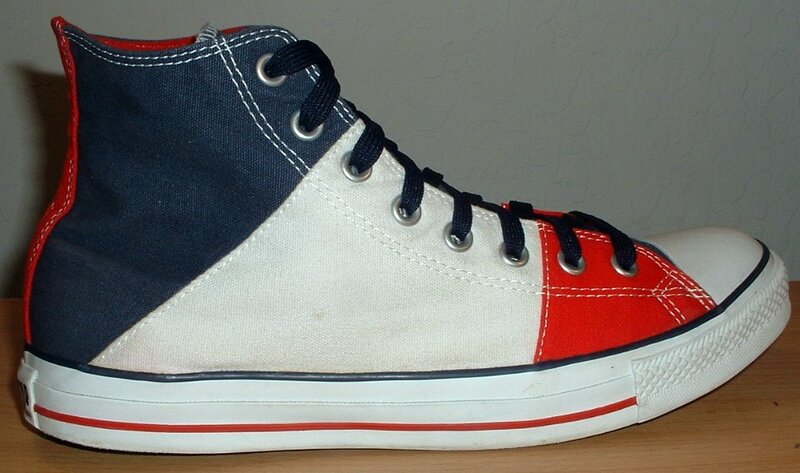 11 Red White and Blue TriColor High Tops Catalog photos showing how they can be worn as a roll down shoe. 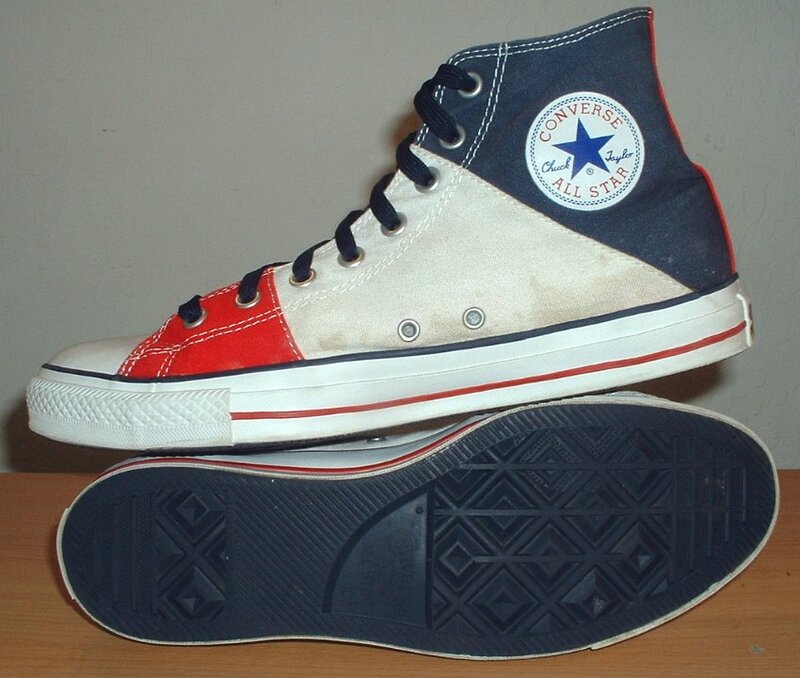 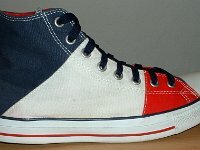 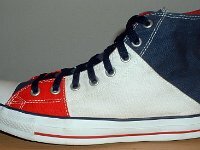 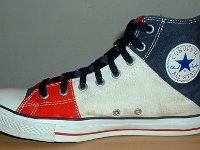 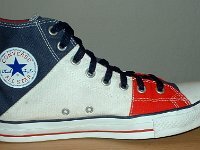 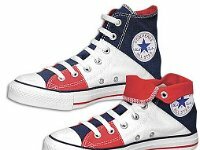 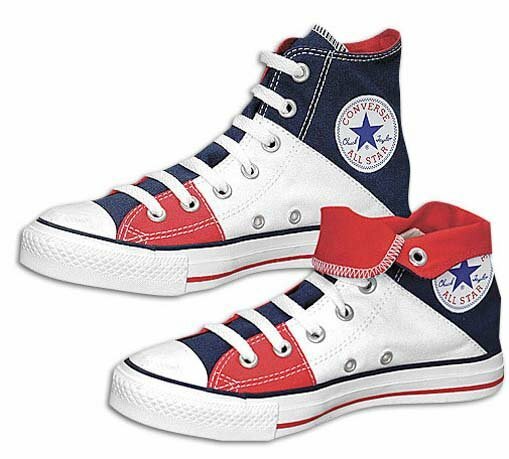 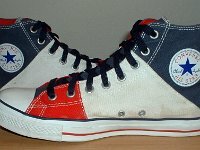 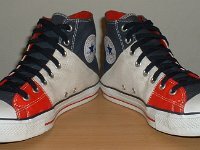 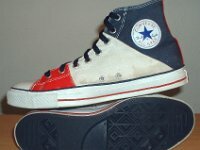 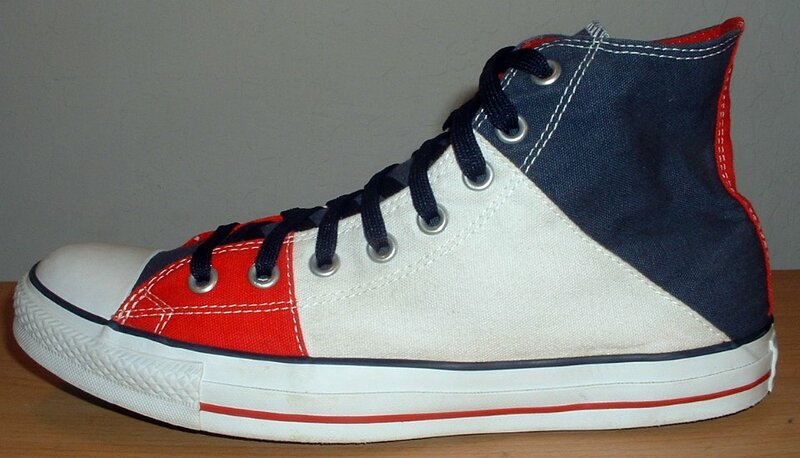 These red white and blue tricolor high top chucks can be worn as regular high tops or rolled down. 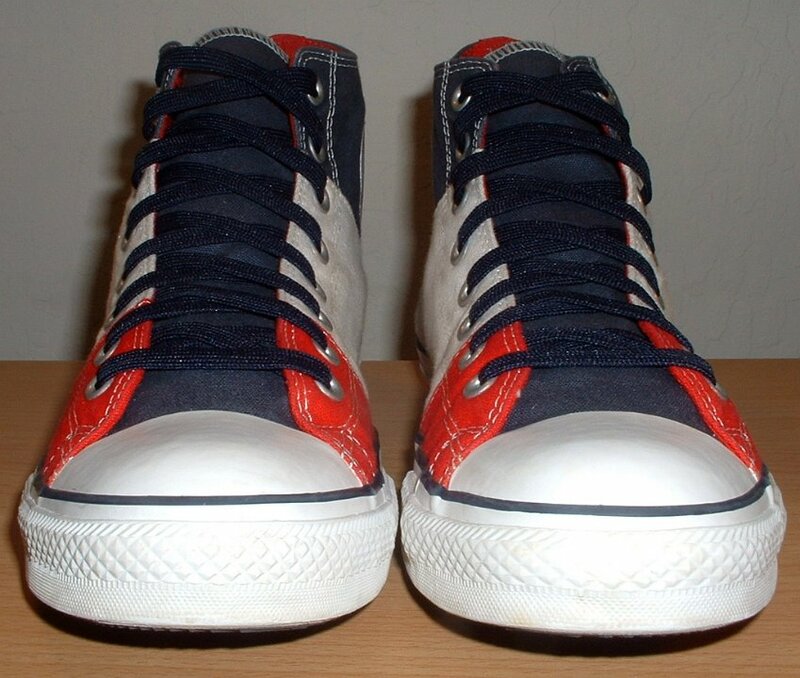 Made in China, they have navy blue classic laces and blue outer soles.